​Freek Groenevelt is a mild-mannered journalist who values his peace and quiet above all else. But his orderly life is suddenly upended by the intrusion of a mysterious figure calling himself Joachim Stiller, who seems in insidious ways to be controlling Freek’s life and destiny. It starts with an enigmatic letter – impossibly postmarked before Freek was even born – and as a series of bizarre and possibly supernatural phenomena ensues, Freek becomes obsessed with the question: Who is Joachim Stiller? With the help of a beautiful mathematician and a dealer in occult books, Freek tries to solve the riddle, but none of them will be prepared for the final revelation of the shocking truth! 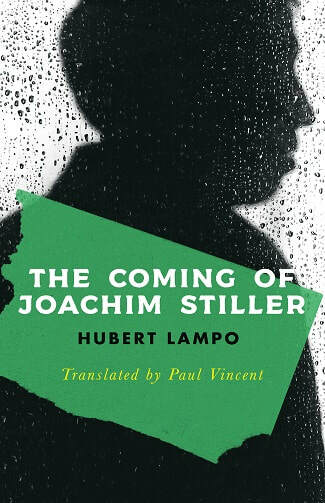 One of the great classics of 20th-century Flemish literature and a founding text of Flemish magical realism, Hubert Lampo’s internationally acclaimed The Coming of Joachim Stiller (1960) has been published in fifteen languages and is now available at last in an outstanding new English version by award-winning translator Paul Vincent.